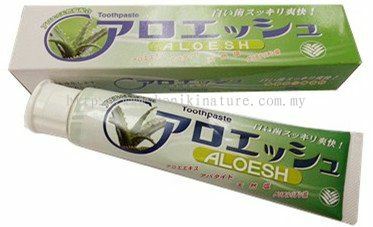 Johor Aloesh Toothpaste - NOT150405358K 6. 日用保健品系列 from Koniki Nature (M) Sdn. Bhd. Send your message to Koniki Nature (M) Sdn. Bhd.